The National Assessment Collaboration (NAC) exam is an exam that is necessary for every IMG (international medical graduate) to pass so they have a chance at landing a residency in Canada. It is one of the essential steps for getting a residency program in Canada. This article will provide you with all the data regarding the NAC exam and its importance. Anything that confuses you will surely have its solution in the links of the articles provided at the end of this article. It is planned to cancel MCCEE exams after 2018 for IMGs (previously only Canadian graduates did not have to take this exam) because the MCCQE exams will be available worldwide after 2018. 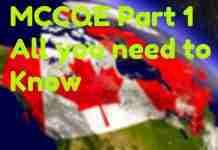 MCCQE Part 2 is not necessary for getting a residency in Canada. You can do it during your residency too. The MCCEE exam previously had to be taken before the NAC-OSCE exam but now there is no restriction on which to take first and which later. 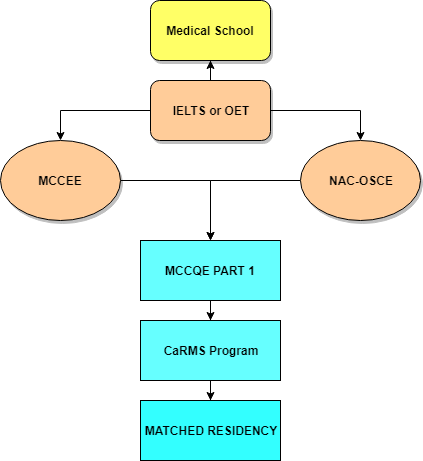 NAC-OSCE (National Assessment Collaboration) is an Objective Structured Clinical Examination which is used to measure the candidate’s clinical competence, knowledge, and skills that whether they are eligible to take part in the residency for Canada and do they possess the qualities to attend postgraduate training in Canada. 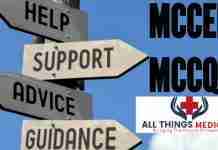 Only on passing this exam are you eligible to take the MCCQE exams. The NAC exam is available only in two languages i.e English and French. 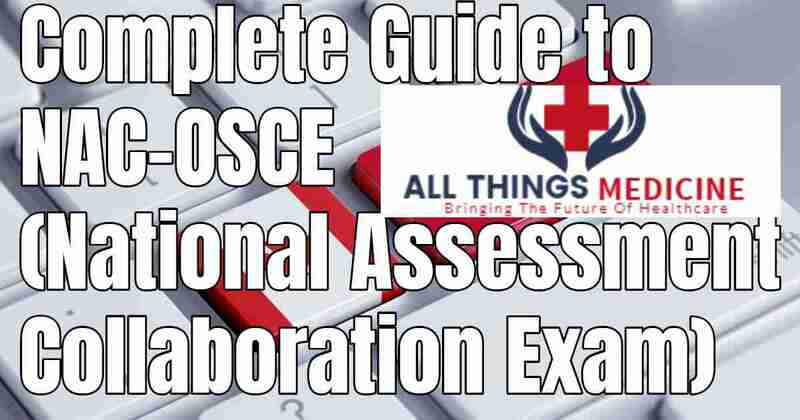 A detailed article on OSCE examinations is given in a link at the end of the article so read it after you finish reading this one for better understanding. 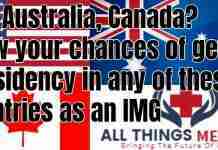 The Canadian Resident Matching Service (CaRMS) which is the major service that provides Canadian residency matches to IMGs in Canada takes into consideration the results of the NAC exam as a part of the application packages. Without this, you cannot have a residency in Canada anyway. 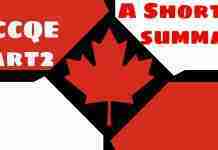 It is not a licensing exam and passing this does not guarantee you a residency in Canada. You can apply for a NAC-OSCE exam during the designated examination periods using your physiciansapply.ca account. Results will be accepted by residency program directors no matter where you take the test. The results are available within seven weeks after the examination and you will receive it via email. Shortly after which two documents will be uploaded to your physicians apply account which will contain detailed marks sheet of your result subject wise. The result is valid for a lifetime and does not expire. You can rescore your result only in case you failed. In case of passing, results cannot be sent for rescoring. There may be changes made to the examination yearly so stay in touch with the mcc.ca official website for info. Aoa , i m Dr maryam, graduated from Pakistan n having 6yrs of work experience as a general physician in different cities of Pakistan. I m PR card holder n want to continue my profession in Canada, i hv to do some job there , want it to be related with my field n respectful.Which path i sh adopt u think ,can i directly appear in nac osce ? Or any other exam? N is it good to work as assistant physician? Waiting for ur reply . thank you. walaikum as salaam dr Maryam. 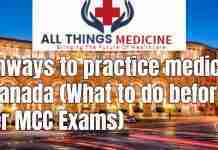 You can take the NAC-OSCE exam and the Practice readiness exam and the royal college exams as you already are a permanent residency holder in Canada you just have to complete the criteria of medical degrees that are accepted in Canada. Take either the MCCQE pathway or the Royal college exam pathway. Brother isnt the royal college pathway is for specialist?